Understanding of the business's purchasing and accounts payable activities and operations. Review and evaluation of administrative and accounting control tools. Purchasing services related to control and centralization of purchasing operations of local and/or foreign goods and/or services . 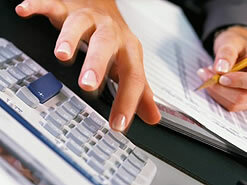 Accounts payable services related to operations performed with vendors, as well as the control of outstanding balances. Preparation of reports and the managerial information necessary for the management and administration of the business.